The Classic 50 wire basket, with its two handles, is a handy storage basket with a capacity of 50 litres. Thanks to its two handles, even heavy things can easily be transported in the basket. But the stainless steel basket can also be used as storage for potatoes, balls, gloves, laundry, paper waste, garden foliage or magazines. No matter whether indoors or outdoors. Korbo’s handmade wire baskets date back to the early 1920s in Sweden. Back in these days, the baskets were used mainly by fishermen and farmers or by all those who needed reliable carrying and storage possibilities that would resist weather, wind and water. To date, the baskets are still precisely braided by hand using the same technique. This unique construction consists of one single long piece of wire that is hand-woven without spot welding, giving the baskets particular durability. 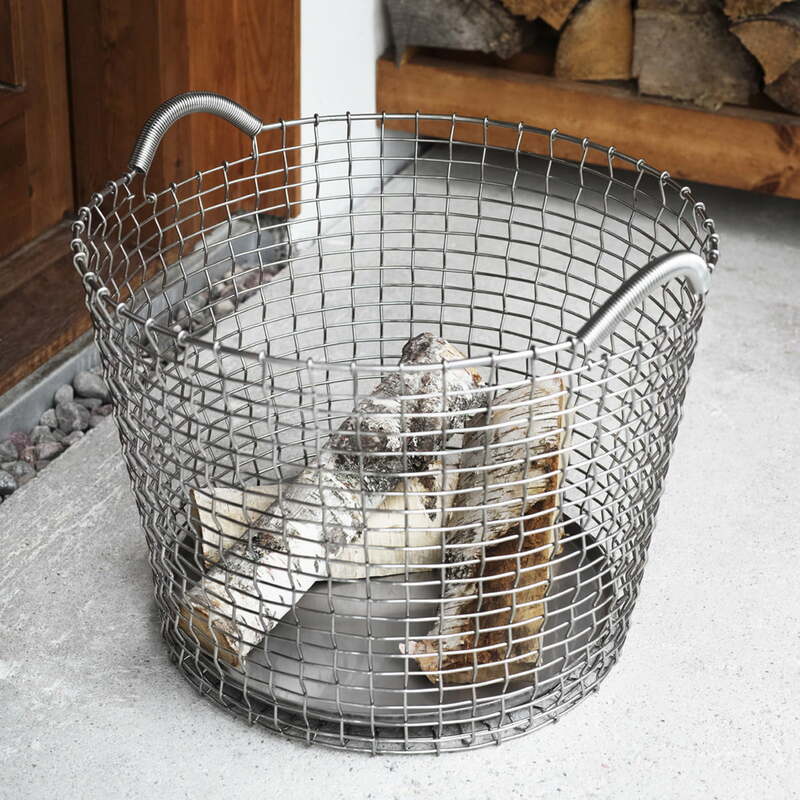 The Korbo baskets are available in two variants of steel - galvanised steel or stainless steel. Both versions are rust-proof. Galvanising is a process used to prevent corrosion. To this end, a physical barrier of zinc is laid on the surface. For more than 150 years, galvanised steel has been used successfully, giving the wire a nice, matt patina over the years. The stainless steel however contains nickel and molybdenum, which create a completely rust-proof compound when combined with the steel. Unlike galvanised wire, stainless steel is not only protected against corrosion on the surface, but it is entirely rust-proof. The stainless steel baskets remain shiny no matter the surroundings and conditions they are exposed to. 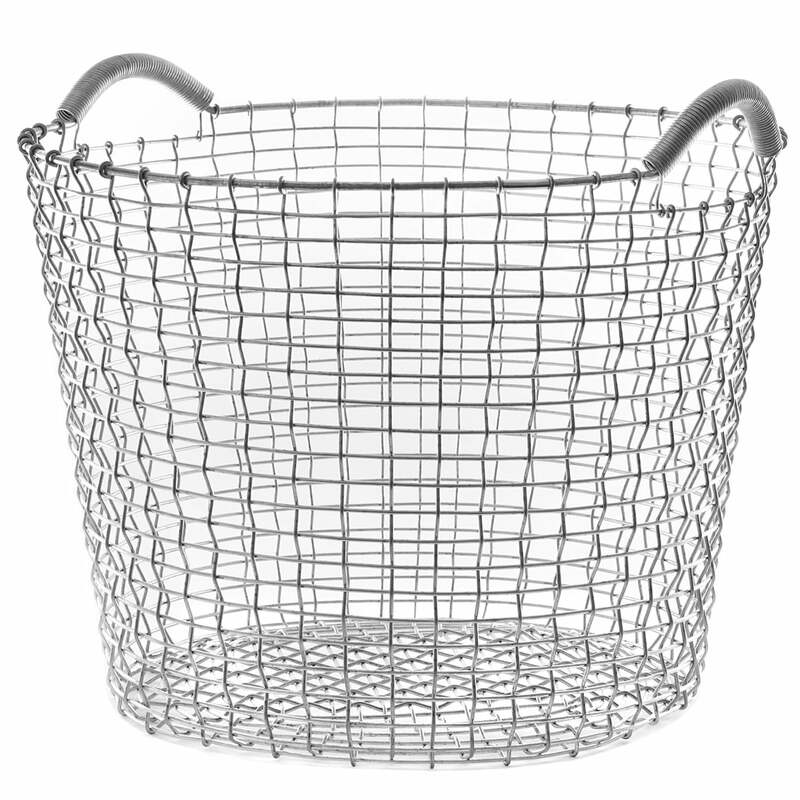 Sing image of the Classic 50 Wire Basket made of stainless steel by Korbo. This unique design consists of a single long wire which is hand-woven without using any welding equipment. 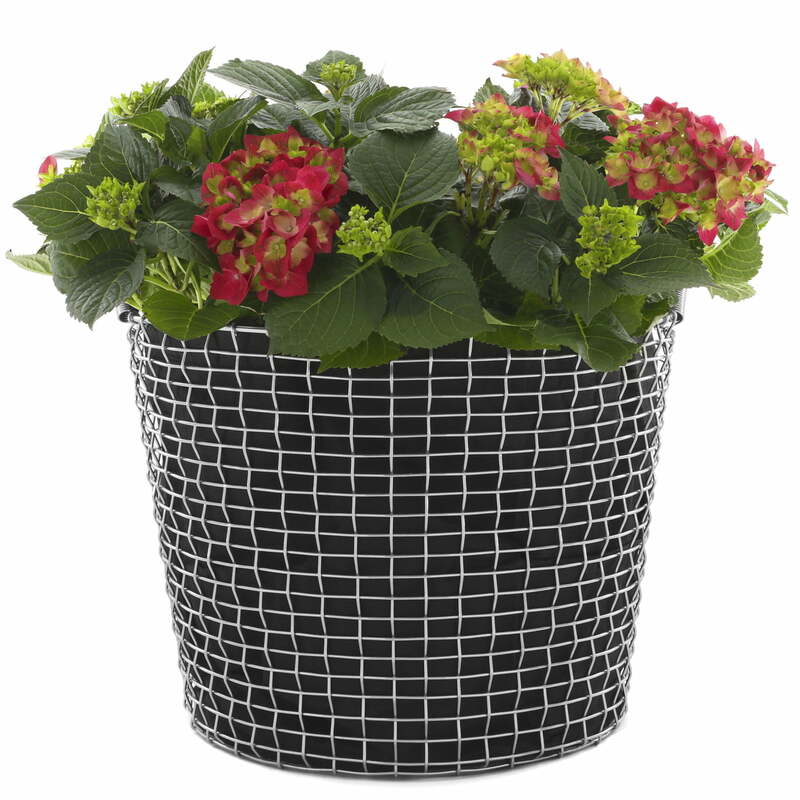 It equipped with the Plant Bag, the Classic 50 Wire Basket is also suitable as a planter for flowers and plants in addition to the usual use. The Classic 50 offers a capacity of 50 litres. 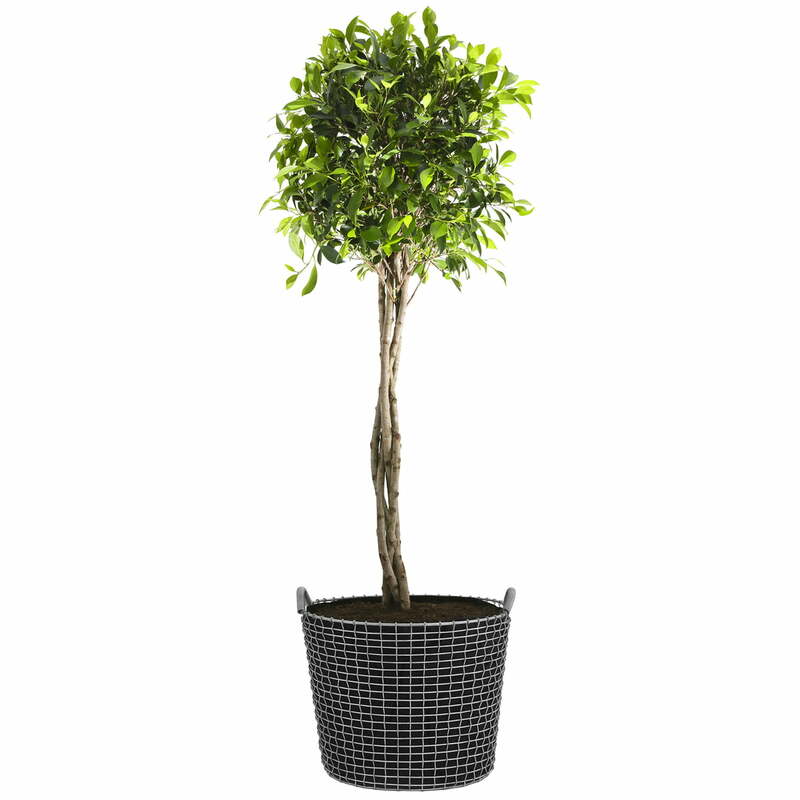 It equipped with the Plant Bag, the Classic 50 Wire Basket is also suitable as a planter for flowers and plants in addition to its usual purpose. 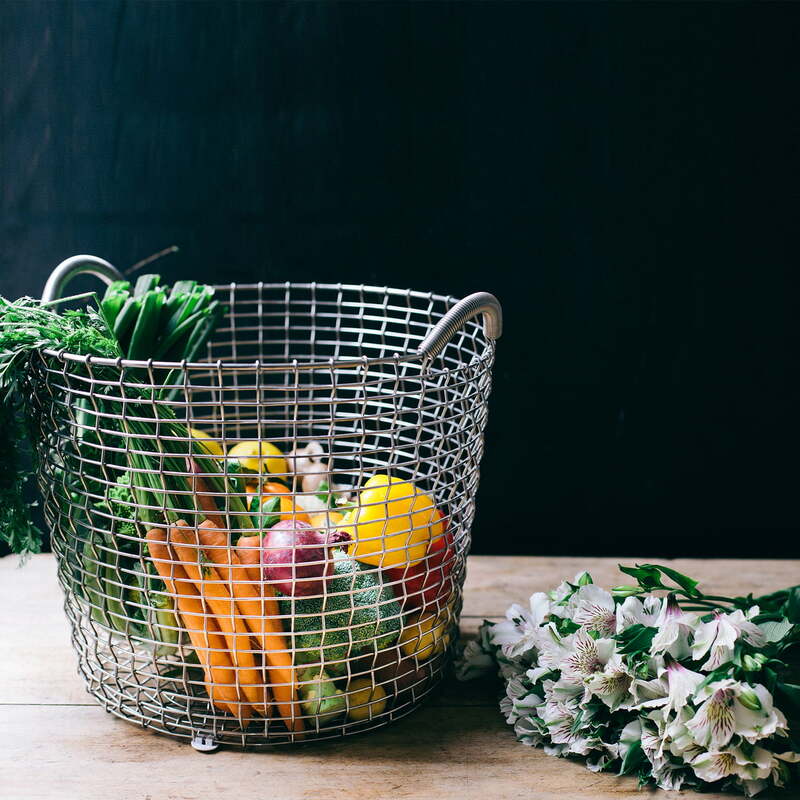 The basket is made of stainless steel..
Food shopping becomes very easy with the stylish Classic 50 by Korbo! 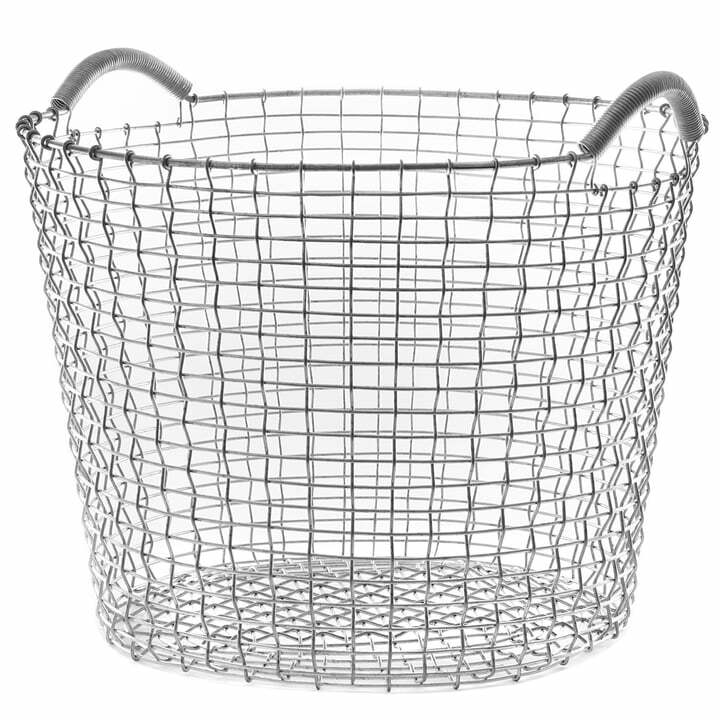 The wire basket is made of stainless steel and is a great companion for running some errands. Thanks to its handles, the grocery can easily be carried home. 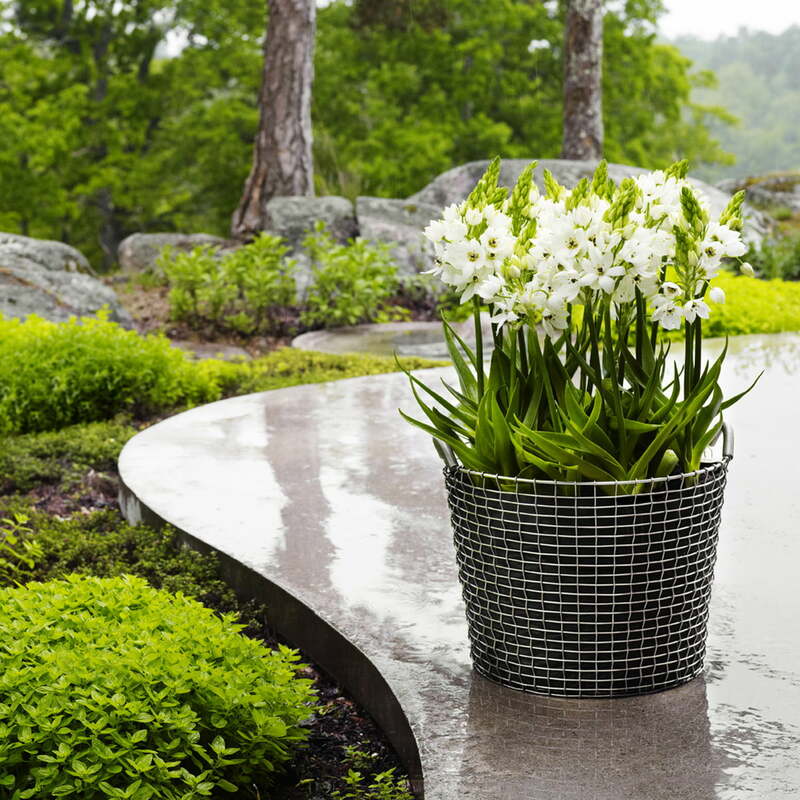 If equipped with the Plant Bag, the Classic 50 Wire Basket by Korbo also functions perfectly as flower pot. The unique construction in which a single wire is woven by hand and without welding points, gives the baskets a special strength.